Andy Beckstoffer is right, and the Napa Valley Planning Commission is wrong. Napa Valley wineries should not be able to wiggle around the county's laws to make more wine from Central Valley fruit. The Napa Valley Register covered this issue last week and editorialized about it on Sunday. It's right for the Register to suspect Beckstoffer of advancing his own interests by opposing a production expansion by his neighbor, Jean-Charles Boisset, who bought Raymond in 2009. But the Register needs to step back and take a clear stand. I'm not sure what exactly its editorial advocates, but I know what I think. Some Napa wineries are trying to skirt the law, the planning commission is misinterpreting the law rather than enforcing it, and it should stop. Napa Valley wine should be made from Napa Valley grapes. That's basic. The question before the Napa County Planning Commission is, how much non-Napa wine should it allow to be made in Napa Valley? In the great wine regions of Europe, the answer would be "none." But in most of the USA, the answer is "a limitless ocean." But this is Napa County we're talking about, and the laws are different there. In 1968 Napa County adopted an agricultural preserve ordinance, the first of its kind in the United States. The visionaries in charge at the time realized that the only way to preserve land for vineyards was to prevent it from being used for construction. In 1990 the county followed that up with a Winery Definition Ordinance, which was designed to prevent wineries from becoming any more Disneyland-like -- or going the other direction, more industrial -- than they already were. A key provision of the WDO was that wineries that wanted to expand their production facilities had to prove they had access to enough Napa Valley grapes to do so. The county as a whole didn't want giant wine factories like you can see in Modesto. Like the agricultural preserve, this was prescient. At a time when nobody could predict the prices that Napa Valley Cabernets sell for today, the county recognized that it was better overall to produce fewer wines with an artisanal image. However, there were already several wine factories cranking out the juice in Napa Valley. White Zinfandel was invented at Sutter Home, which looks like an oil refinery in back. But it was a key part of Napa business, and nobody wanted to (or likely legally could) tell a successful business to stop what it was doing. So the county grandfathered in wineries at their 1990 production levels. They could make as much wine forever as they did then, whether they used Napa grapes or not. Moreover, they could make as much wine as they could produce from their existing facilities, whether they used Napa grapes or not. 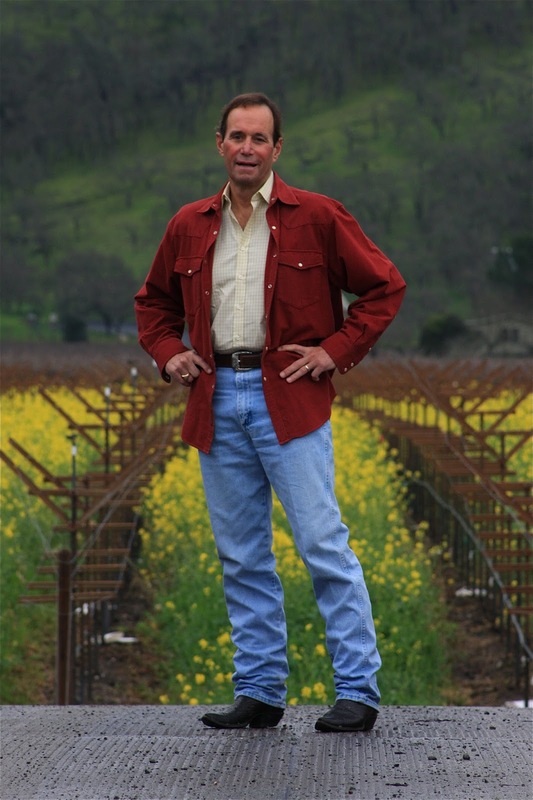 "The idea was to stabilize the industry," says Beckstoffer, one of Napa's largest landowners, who was in on the negotiations in 1990. But Beckstoffer says one of the guiding principles of the ordinance was that all wineries, even grandfathered ones, that want to expand into new territory would be treated the same. And that's where the 75% rule was invented. According to federal law, a wine labeled "Napa County" must have 75% grapes from Napa County. Napa Valley has a higher standard of 85%, but this was a county ordinance, so it used the lower standard. The idea was that if a winery wanted to build a production or storage facility to make 1000 tons more wine, it had to prove it had vineyards or vineyard contracts for 750 tons of Napa County wine. But the planning commission, on its own, has allowed wineries to apply the 75% to their entire production, whether they did before or not. It's complicated; bear with me. In other words, if Winery R made 1000 tons of Napa County wine in 1989 in its facility, all from Napa County grapes, and now it wants to expand its building to make 1500 tons of wine, Beckstoffer thinks it should have to show it has grape contracts for 375 tons -- 75% -- of the new wine. But the county planning commission is interpreting the law to say Winery R only needs to use Napa grapes on 75% of the total, so it need only show new grape contracts for 125 tons. Beckstoffer is a major Napa Valley vineyard owner, but he says he will not necessarily benefit from tighter restriction on non-Napa grapes. He owns 1000 acres of vineyard land in Lake and Mendocino Counties, and those Lake Country grapes are worth more if he can sell them for Napa Valley wines. I don't know if I believe he won't benefit at all, but I have seen his Lake County vineyard, and 1000 acres, that's big. But I don't care if he benefits. Somebody always does; that doesn't mean they're wrong. I am advocating primarily for consumers here, and secondarily, for the principles that the county enacted. Consumers expect that wines made in Napa County, that say Made in Napa County on the label, have a Napa connection. Unfortunately many of them don't. Wine factories in the city limits of Napa and American Canyon are not subject to the county WDO, and they crank out truckloads of wine with a California appellation that at least some consumers probably mistake for having a Napa connection. "Sutter Home says 'historic Napa Valley winery,' and they sell Muscat from Chile," Beckstoffer says. "If it was Freddy Franzia, the Napa Valley Vintners would be raising hell about it. But it's the Trincheros and Beringer and people like that so they're fine with it." Beckstoffer's right. Napa passed this law specifically to curtail the mass production of non-Napa wines in the county. If Napa as a county wants to rescind the law for business reasons or whatever, that's one thing. But the planning commission by itself should not overturn the intent of the law. Boisset has brought a lot of energy and intelligence to northern California. His renovation of Raymond is good for Napa Valley. But he bought it in 2009, and he wants to double its production. This seems to be precisely the sort of expansion by outside interests that the laws were passed to prevent. Enforce the 75% rule on all new winery construction. That's the right move. Thanks for the detailed background, Blake! I'm thinking the Trinchero's are taking a proactive step with their planned large bottling facility west of Lodi. That will allow them to reverse their process and haul Napa bulk back over to Lodi for blending for a change. Should make those in Napa quite happy, while thankfully bringing stable jobs to our neck of the woods. ColoradoWinePress is right. I think you're misrepresenting the WDO. The purpose was to enforce the 75% rule for Napa production a going forward, not penalize grandfathered wineries and prevent them from expanding. By your/Andy's example WineryR would have to be at over 91% Napa production while their brand new neighbor would be at 75%. That doesn't seem fair does it? I'm not a huge Boisset fan myself, but the WDO isn't about ownership, it's about production. Grandfathered wineries would never have agreed to the WDO as Andy seeks to define it because it limits their business. 707: Keep in mind that the brand new neighbor would have to get its winery construction passed by Napa County, and that's really hard and expensive. If you want to talk about fairness, remember this: the whole point was to limit construction and production with out-of-county grapes. It seems to me that the county should consider each case for expansion as conservatively as it does each case for new wineries. I recently spoke with a vineyard owner who spent $1 million and more than a year just getting a permit to build a winery to make wine from their own Napa County grapes. This is the way Napa County is. To loosen up runs counter to the way the county has been run, generally at the behest of the residents. Businesses buy Napa wineries because a 'real' Napa wine commands a far higher price than its' California competitor. Mostly they desrve this because of soil, cropping, coddling, expensive oak and 20 months of care. You CAN fiddle with art by gaming the winemaking process and bringing in cheap grapes from dirt that produces 5x as much tonnage. That is what finance guys with big groups will ALWAYS want to do. I disagree with the notion that a Napa winery should not be able to make as much California appellation wine as they are allowed by their permit. If I own a Napa winery and I want to make a Lodi wine, I am required to follow federal label guidelines regarding wine composition. So long as I follow those rules, I should be able to make whatever wine I want. Great pair of comments. It's because most businessmen think like Winegeek66 that Napa County passed these laws in the first place. Blake, I’m not sure, but I think the current interpretation allows an even more egregious violation of the law’s intent than you describe. Based upon Mr. Beckstoffer's explanation, here’s an alternative example. Let’s say a winery had pre-1990 production of 1,000 tons. As you say, the entire 1,000 is exempt from the 75% rule. Therefore, if the winery wants to produce 1,000 tons, all from grapes sourced outside Napa today; that would be okay, regardless of the proportion sourced from Napa before 1990. There are zero restrictions on that pre-1990 production level. So, let’s say 50% of this particular winery’s 1,000 tons is currently sourced from Napa – perfectly acceptable under the grandfathering rule. Now, let’s say they want to expand to 1,500 tons, with all the new production coming from outside Napa. Under the current interpretation, they would not need to increase the level of grapes sourced from Napa, at all. All they need to do is say that all of their production from outside Napa (1,000 tons) is covered by their 1,000-ton exemption under the grandfathering rule. The remaining production, 500 tons 100% from Napa, is well above the 75% percent requirement and they are in complete compliance. In fact, they could even expand their non-Napa production by 667 tons and still be in compliance (1,000 tons sourced from outside under grandfathering and 667 tons subject to the 75% rule (500 Napa and 167 outside, meeting the 75% requirement). Kent: I think you've got it exactly right, and thanks for the example. Sutter Home, to name just one, surely wasn't using many Napa grapes in 1990. So if they can shift their exemption, they can basically expand production easily. The larger grandfathered wineries could get much larger, which would defeat the purpose of the law. The regulations were the product of a lengthy and painful confrontation between the Farm Bureau/Grapegrowers on one side and the Vintners on the other. The 75% rule was only a portion of the final regs; many regulations were aimed at things like what items a winery can offer for sale in its tasting room and whether visitors must make an appointment before showing up. And Andy is on record as endorsing the final compromise back in the day. Methinks in his case the new crusade is directed at Boisset,and the WDO is just a newly-discovered weapon. There are property rights and anti-trust issues lurking in the background. Some fine legal minds believe it is best to let sleeping dogs lie. 707WineGuy is correct. The $1 million number is comprised of what exactly--engineering studies? CEQA compliance? CEQA is a state law, not Napa's. And all these rules apply only in the so-called AG Preserve and Ag Watershed zoning districts, not the entire County.